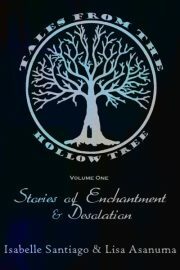 Have You Visited the Hollow Tree? If not, you definitely should! There is so much amazing stuff happening over there. For starters, we got a new book reviewer. She goes by the supercool name: thephoneix and she’s one of my old fanfic buddies from lifetimes ago. I ❤ her. So please, warmly welcome her to Hollow Tree by checking out last week’s book review! Today’s offering is mine and it’s a little piece called Lavender Dawn, born of my obsession with all things weather related. And if you haven’t checked out my first free offering, The Skeleton Key, you should. It’s an ode to Wonderland. 🙂 I’d love it if you checked it out. Til next week, my pretties.